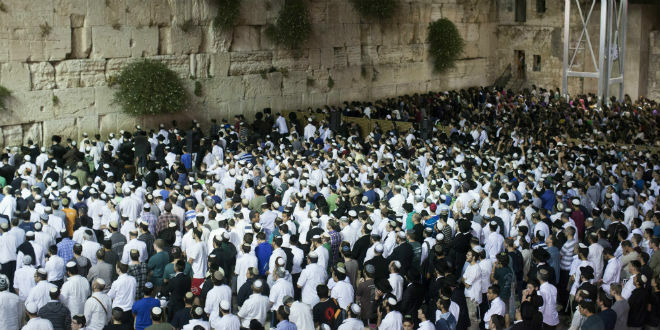 A group of leading Israeli rabbis declared Monday a day of prayer and fasting, a “mini Yom Kippur,” in their words, over the degenerating security situation in the country. The initiative was spearheaded by Rabbi Aharon Leib Shteinman (pictured), the top non-hassidic orthodox rabbi in the country, who called for 24 hours of reciting of Psalms and fervent prayers amidst ongoing missile attacks from Gaza. Last month, Rabbi Shteinman called on yeshiva students around Israel to cancel summer vacations, day trips and any other kind of recreational activity so long as the nation was at war. Shteinman and a number of other senior rabbis said it would be a “desecration of God’s name” to engage in recreational activities while so many Israelis are under attack or fighting in defense of the nation. Yeshiva students were instead urged to continue their studies and increase their times of prayer. Israeli officials, both religious and “secular,” have long maintained that the study of God’s Word and fervent prayers to the Almighty provide just as much protection as a strong military and advanced weapons.